Marlings was featured in an informative article written by Jo Roche in the Lymington Times this week. Jo visited us recently whilst we were finishing our pruning for season. We are delighted to announce our Sparkling White, 2013 has been awarded a Bronze Medal in the 2017 UK Wine Awards. The UK Wine Awards is the national competition for wine produced from grapes grown in England and Wales and judged to international standards by 12 top wine experts chaired by Susie Barrie, Master of Wine and the infamous Oz Clarke. The panel also includes notable Masters of Wine, broadcasters and influential wine buyers. This year the competition attracted an all-time high of 293 entries from producers across the England and Wales. Our 2013 Sparkling White is made from carefully hand-picked Seyval Blanc grapes, using the traditional method of bottle fermentation, adding complexity and elegance to it's flavour. We're delighted to announce the launch of our 2014 single barrel red wine. This elegant, fruity, medium-bodied, dry red wine is a blend of Dornfelder and Léon Millot grapes, whose red fruit flavours are given greater complexity by ageing in a French oak barrel for over a year. This bottle is one of only 250 bottles produced. Please serve at room temperature or lightly chilled. An ideal accompaniment to meat and pasta dishes, or simply to enjoy on its own. Marlings was in great company at the English and Welsh Wine of the Year Competition in June this year, winning a Bronze medal for our 2013 Sparkling White Wine. The competition, organised by the United Kingdom Vineyards Association, is the only one in the world judged entirely by Masters of Wine and we're delighted to have been awarded a medal. Our 2013 Sparkling White is made from carefully handpicked Serval Blanc grapes, produced using the traditional method of bottle fermentation, and is available through our local stockists. La Perle of a night! A fantastic evening celebrating and showcasing the best locally produced food and wine was held at La Perle restaurant, Milford on Sea. Navigating a five-course menu, with Marlings wines carefully paired to each course, allowed for a truly mesmerising gastronomic experience. Head Chef Sam Hughes, who trained under Raymond Blanc and recently appeared on Professional Master Chef, produced outstanding creations, personally introducing each course. Marlings Winemaker Piotr Nahajski and Max from Priory Wines provided additional commentary on each of our paired wines. A complete sell out! Marlings wines are now available at New Forest Wines in Christchurch Road, Ringwood, Hampshire. Graham has a fantastic selection of top-quality wines, speciality spirits as well as locally produced beers and ciders, and we're delighted he's chosen to stock our full range. www.newforestwines.com. We're delighted that Priory Wines, an independent wine merchant in Lymington specialising in small, independent growers, has chosen to sell the full range of Marlings wines. Trevor and Max are very friendly and are happy to share their expertise and knowledge about all things wine. Priory Wines can be found at 17 Lymington Enterprise Centre, Ampress Lane, Lymington, Hampshire SO41 8LZ. There's parking right outside the door; perfect for loading up on a few bottles or cases. Marlings hit the Radio 2 airwaves yesterday on the Steve Wright in the Afternoon show. 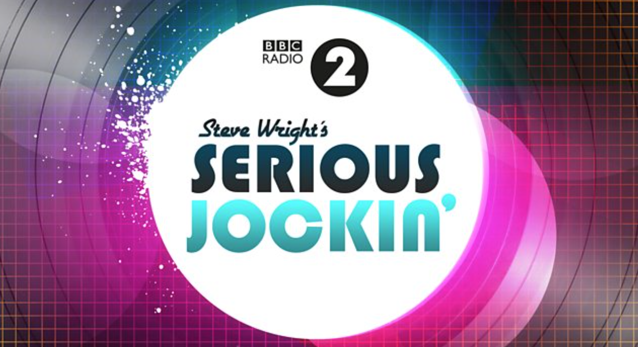 A very big thanks to Steve and the team for the shout out during the Serious Jockin' (with no 'g') promo. We're all massive fans of the show and love to listen whilst we're doing some Serious Winein' in the winery. As usual, the new year sees the start of the pruning season in the vineyard and a beautiful New Forest sunset was the reward for the first day's work (oh, and maybe a glass of Marlings fizz too). We started by pruning our Dornfelder vines and all being well, we'll enjoy the results in our Pinot Noir - Dornfelder red wines when they'll be ready in just over three years time. The very first Marlings sparkling wines are now available and we're delighted to offer sparkling rosé and sparkling white wines from the 2013 vintage. Today marks the final day of the Marlings 2015 harvest, with the last of our Dornfelder and Leon Millot grapes currently being carefully hand-picked before being taken into our winery to start fermentation. From this 2015 vintage, we are planning to make a blend of Pinot Noir, Dornfelder and Leon Millot which we're very excited about. Roll on the next two years! October 2015 has provided nearly perfect ripening and picking conditions, with predominantly warm and dry weather throughout.